Premium distilled spirits, carbonated water, and natural flavors are all that go into our canned cocktails. Perfect for any occasion, but Deep Bay canned cocktails are best enjoyed amongst friends and family when you’re in your happy place, a place like Deep Bay. At 110 calories each, you won’t need to feel guilty enjoying our products. Using a well rounded botanical focused gin as a base, we’ve added some citrus and mint flavors to make one of the most refreshing cocktails under the sun. The classic. Just how you want it every single time. 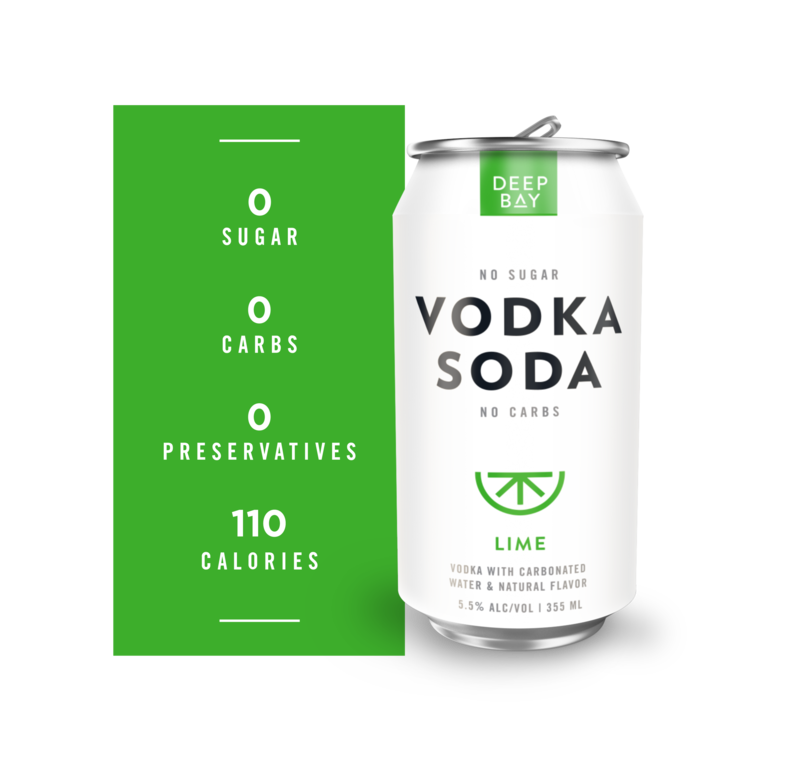 The perfect mix of vodka, carbonated water and natural lime flavor make it possible to enjoy with minimal hassles wherever you are. Deep Bay is a real place and she’s a beauty. Situated on the North Shore of Bermuda lies a small bay with turquoise ocean as far as the eye can see to the north and cliffs on all other sides. The kind of spot where you lose track of time and all cares while standing waist deep in the clear blue ocean. Drinks are drank, music is played and pontoon boat slides are ridden, all while making lasting memories with your friends. How could our products be called anything but? Where To Purchase Deep Bay? While working at Bacardi’s global head office for six years, I developed a great appreciation for quality cocktails. After many years of drinking premium distilled spirits, I couldn’t understand why the ready to drink market was filled with sugary and malt/brewed based beverages. Things needed to change, and over here at Deep Bay we weren’t afraid to take on the challenge to develop the lightest, most refreshing distilled spirits based drinks ever known. We think you’ll agree that we accomplished our mission, and you can now enjoy a new standard in the beverage industry. How many calories and carbohydrates are in Deep Bay products? 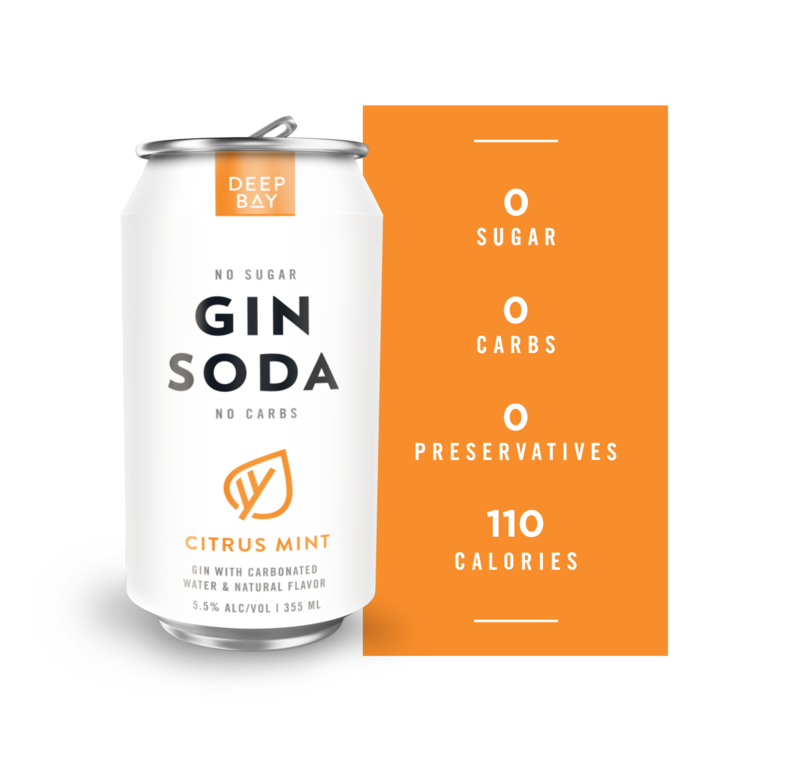 A general rule of thumb is 20 calories for every 1% ABV in a 12oz can, therefore we have approximately 110 calories in each 5.5% ABV Deep Bay product. There are no carbs in any Deep Bay products. What is the shelf life of Deep Bay products? 12 months at a minimum and likely upwards of 24 months. As with any natural product, consuming sooner than later is recommended. Where can I find Deep Bay products? Deep Bay products are currently available across Tennessee and Bermuda. We are expanding in 2019 so check back for updates regularly! Are Deep Bay products Gluten Free? Yes! Our products have between 0-3 parts per million. Anything under 20 parts per million is considered gluten free by the FDA. 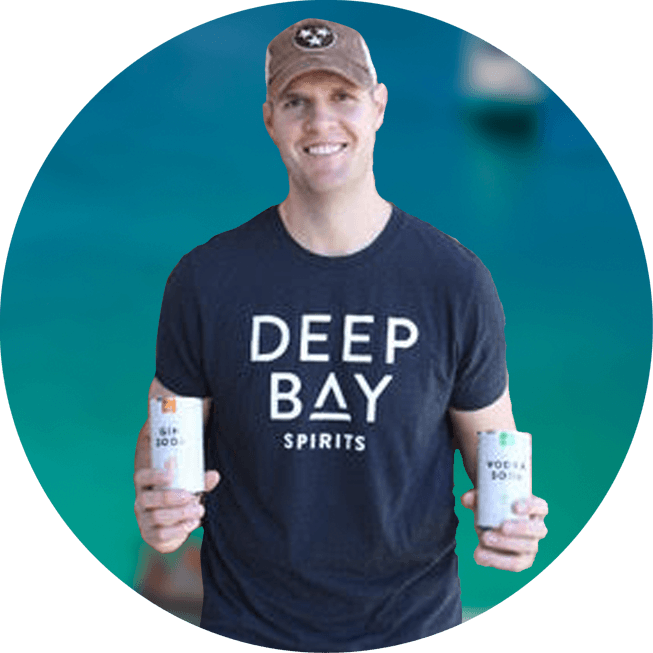 What type of alcohol is in Deep Bay products? Only distilled spirits are included. Our vodka is made from French wheat and distilled 5x. Our gin is distilled with a botanical focus of juniper, coriander, orris root, angelica root, cardamom, citrus peel & liquorice root. We only use distilled products because we can’t remember ever going to a bar and ordering a cold brewed sugar and soda! How much sugar or sweeteners are in Deep Bay products? Fill in the below form and we will get back to you shortly.